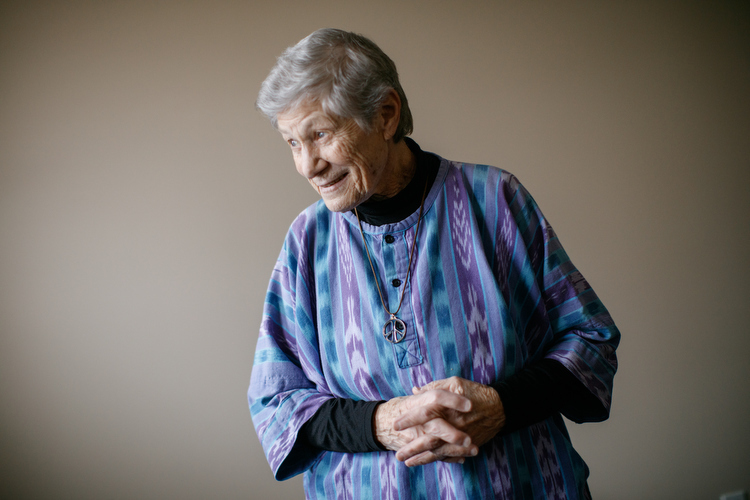 Sister Carol Gilbert, OP and Sister Ardeth Platte, OP of the Grand Rapids Dominicans have dedicated their lives through nuclear disarmament and recently contributed to the International Campaign to Abolish Nuclear Weapons (ICAN)'s win of the Nobel Peace Prize. The rolling landscaped grounds and impeccably maintained buildings of the Marywood Campus on East Fulton Street lie just outside of East Grand Rapids. Inside the Dominican Center building on a cold winter morning, the aroma of freshly baked cinnamon rolls floats on the air. 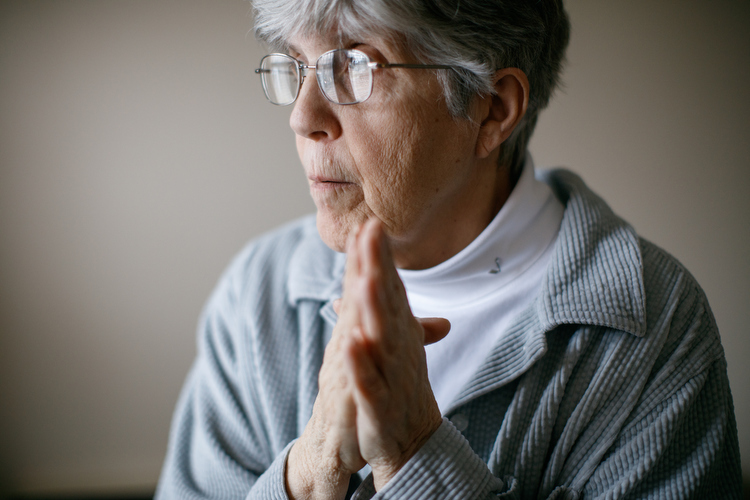 Gray-haired Dominican nuns disarmingly smile and nod. Two of them are disarming the world. The world has noticed. Sister Carol Gilbert, OP and Sister Ardeth Platte, OP, Michigan natives visiting Marywood from Washington DC, presented "A Yes for Humanity: One Step Closer to Nuclear Disarmament" on Tuesday, January 30. They spoke about being part of the International Campaign to Abolish Nuclear Weapons (ICAN) delegation to the United Nations last spring and summer that was instrumental in The UN Treaty on the Prohibition of Nuclear Weapons. Adopted July 7, 2017, the new treaty, also known as the 7/7/17 Treaty, builds on the 1970 Nuclear Nonproliferation Treaty by totally banning the bomb, making “development, testing, production, stockpiling, stationing, transfer, use and threat of use of nuclear weapons” illegal. For Sisters Gilbert and Platte, being party to the adoption of a groundbreaking UN treaty was simply another step on their journey to disarm the world. Over the past 40-some years, they have done anything and everything they could to ban the bomb. In 2002, they, along with Sr. Jackie Hudson, OP, snuck onto the site of nuclear missile silos in Weld County, Colorado to paint crosses on them with their own blood. They served time in federal prison, where they ministered to their fellow inmates. Gilbert served 33 months and Platte 41 months, a longer sentence as she had been previously incarcerated more times than her two accomplices. The 7/7/17 Treaty gives the sisters an assured hope that peace is indeed within humanity’s reach—even though US Ambassador to the United Nations, Nikki Haley, boycotted the UN proceedings and threatened NATO allies against signing on. The sisters note that the US took several years before signing the 1970 Nuclear Nonproliferation Treaty and believe the country will eventually sign this one, too. While some Americans are old enough to remember practicing atomic bomb drills and others have seen a parade of dystopian films depicting a nuclear aftermath, here in the US, most do not share a lived experience of nuclear warfare. This, despite the fact that the US owns 6,800 of the world’s total 14,900 nuclear weapons. (Russia accounts for another 7,000). While claims of deterrence fuel the supposed need for more nuclear weapons, the sisters believe that corporate profit is the true motive for manufacturing more and more. Gilbert also stresses the huge toll that funding the current military industrial complex takes on Americans ($20 billion a year on nuclear weapons alone). With approximately 75 percent of the federal budget funding military spending, little is left over to fund healthcare, education, environmental protection, or programs to end poverty and homelessness. The sisters add that as the government prioritizes violence, the trickle-down is violence in communities. Disarming the world is no small task. Yet, these two and their colleagues at ICAN have persuaded to UN to do just that. However, Platte insists that “We’re just two little pieces of sand on the seashore, doing our little part.” Gilbert adds that anyone who has worked for peace, by protesting, through teaching nonviolent conflict management to youngsters, working for restorative justice in their neighborhoods, or simply raising their children to live peacefully, also gets a piece of the Nobel Prize. Because of the impact that young people from other countries made at the UN, the sisters are currently traveling the US to teach the treaty to Catholic bishops, politicians, grass roots peace organizations, and college students. During a stop at Regis University in Denver, they brought a group of students out to view the nuclear missile site where the three sisters had been arrested in 2002. Most of the students were unaware, and many were angry, that 49 trigger-ready nuclear missiles were housed so close to them. The sisters encouraged the students to write a brief on the treaty, start a petition, get the whole college to sign it, and send it to their senators and Nikki Haley. “Going across country, visiting colleges, it’s the most exciting thing I’ve done and I’ve done a lot of actions that I’ve really felt good about,” Platte says. The sisters are also involved in Don’t Bank on the Bomb, a financial divestiture movement modeled successfully in the Netherlands. It encourages people to withdraw their money from banks that invest in corporations manufacturing nuclear weapons, e.g. Boeing, Lockheed Martin, and Raytheon. Meanwhile, Gilbert and Platte are trying to meet with executives from these corporations to persuade them to manufacture products that will serve humanity rather than destroy it. A working writer since 1992, Estelle Slootmaker is happiest writing about social justice, wellness and the arts. Stelle serves as communications manager for Our Kitchen Tableand chairs the City of Wyoming Tree Commission (The Tree Amigos). You can contact Stelle at stellecheck@msn.com or via her website, www.constellations.biz. Photos by Adam Bird of Bird + Bird Studio.